A second cover from Tomislav Dolar of Croatia. On this one, Tommy affixed two pair of setenant stamps, two of them vignette stamps. The postmark date is 26 July 2013 and the location is Nedelišće. 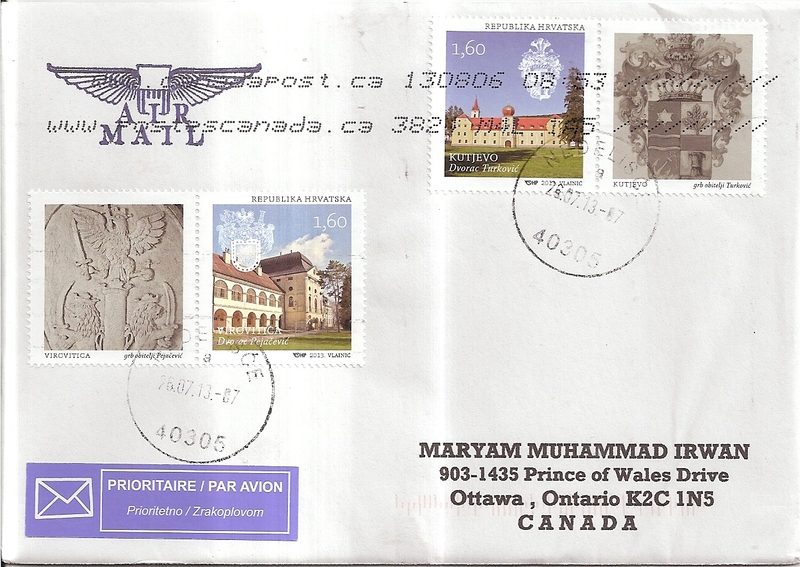 There is also a machine cancellation by Canada Post with postmark date 6 August 2013. Thank you Tommy!